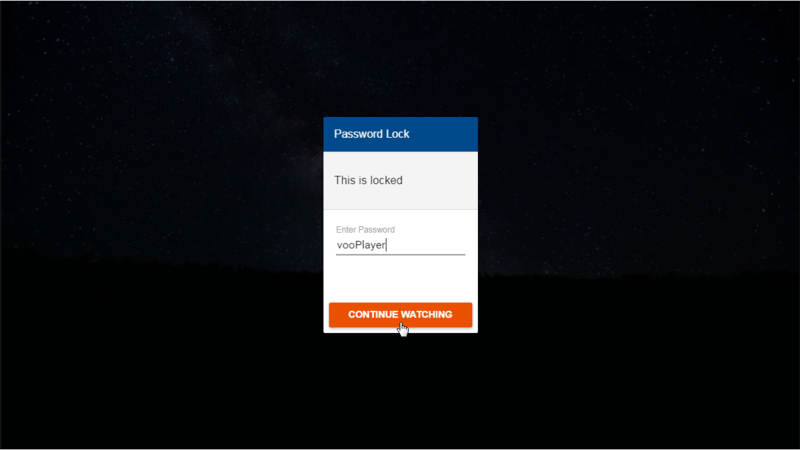 This feature allows you to lock your video permanently for everyone who does not know the password. 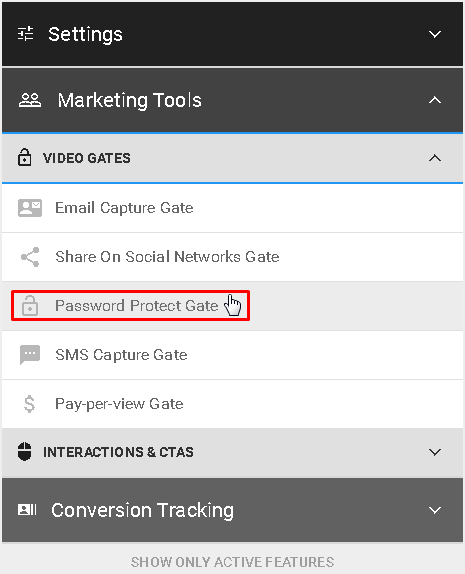 You can create Password Gate from the section Marketing Tools under VIDEO GATES. Turning the toggle on will activate this gate. 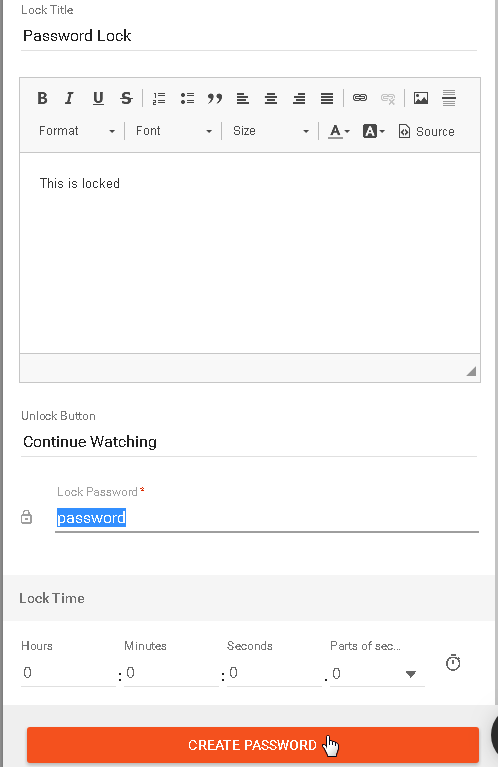 Here you can edit displayed text, manage lock timing and of course set up your password. After you have adjusted all desired settings, just click on the CREATE PASSWORD button and you are good to go. 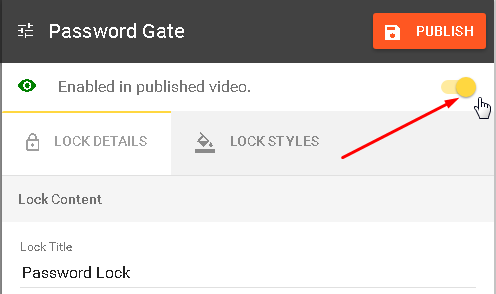 Switching to Lock Styles will give you options to customize the style of your lock.